When in doubt, go for red! From lipsticks to jewels, clothes to hair color, red is the ruling shade. When you see someone across the street with red hair, don’t you take a moment to check them out? Such is the brilliance of this color. 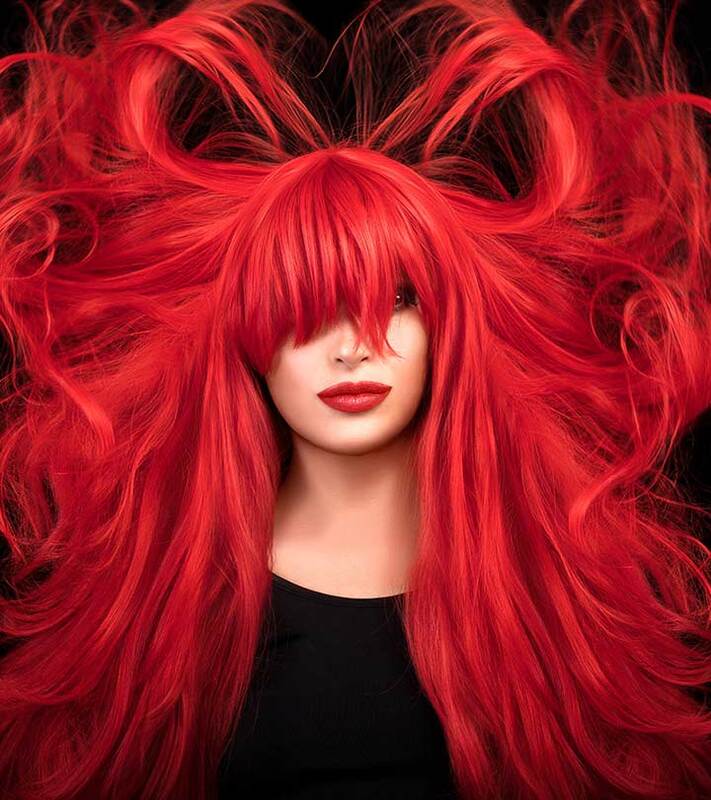 If you are reading this post, you have chosen the right hair color – because red is always in vogue. Want to know which brand offers the best reds? Take a look at the list given below. 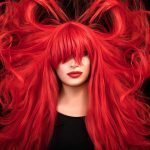 We have compiled a list of the top 10 red hair color products available in the market right now. Cure your Monday blues with this vivacious red tone. It is subtle yet dashing and complements all skin tones. This color formula is enriched with olive, coconut, and almond oils. It conditions your locks and leaves your hair feeling soft and silky. It imparts a vibrant hair color, covering every bit of gray hair. A perfect shade for Indian beauties, this color can perk up boring and dull hair and turn it fiery red. This deep and cheerful shade of red is all you need to look glamorous. 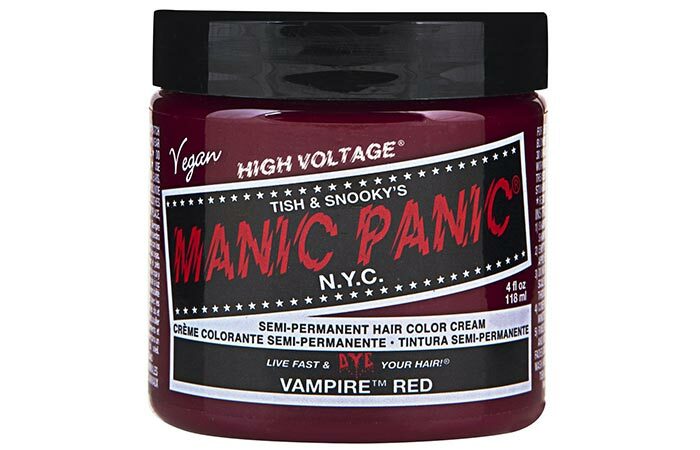 Manic Panic is one of the most popular brands known for their highly pigmenting hair color. The color lasts longer than expected and delivers a rich and vibrant tone. It also conditions your hair while coloring it. It does not contain any harsh chemicals like ammonia and peroxide. This shade adds stunning highlights to dark hair. Apply it on pre-lightened hair to get a bright, radiant shade. Get yourself a luxurious hair color look with this intense multidimensional shade. It comes with a power shimmer hair conditioner that gives you salon-like silky hair. 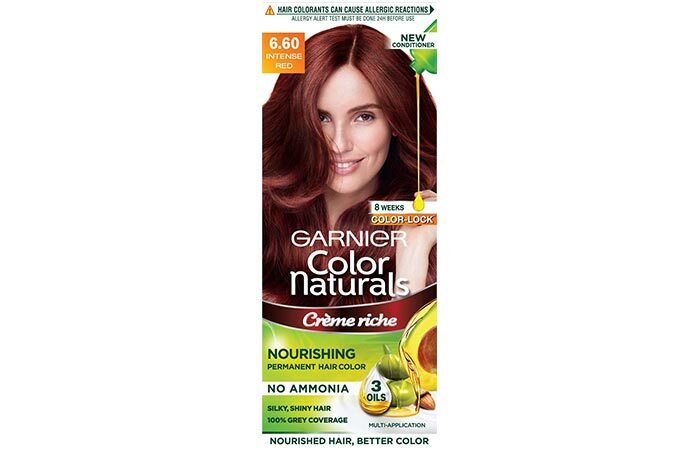 It delivers an intense and bright red color that can add rich dimension to your natural hair color. With the new High-Intensity Color Booster technology, this hair color imparts illuminating shine to your locks. It does not cause any damage and keeps the natural radiance of your hair intact. This hot and ravishing red can take your glam level up by several notches. 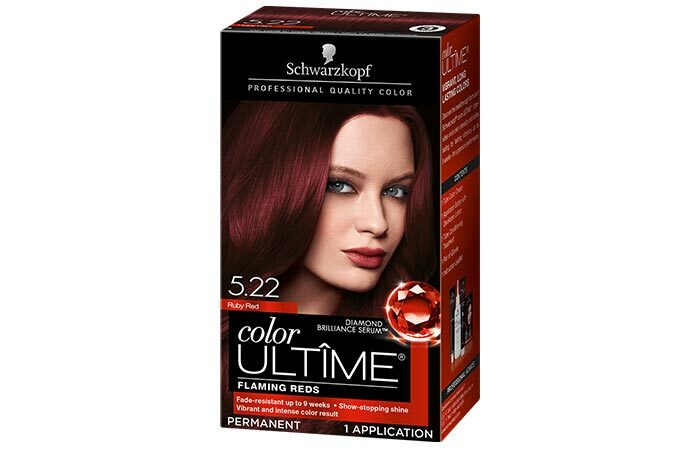 Schwarzkopf offers the latest trendy hair colors to you at home. It comes with an exclusive conditioning treatment infused with a diamond brilliance serum formula that gives you illuminating and glossy locks. It also contains a unique UV filter complex that protects your hair from harmful sun rays. It gives your hair a noticeably brilliant color and magnificent shine. 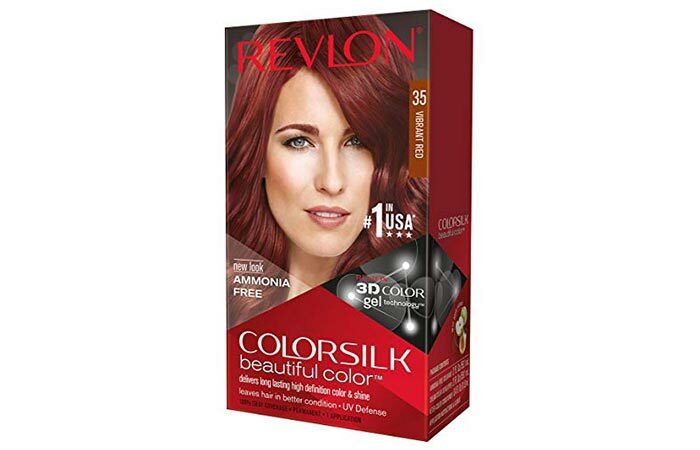 Revlon is popular for producing the best quality hair color products for over 50 years now. With repeated innovation and improvisation, Revlon has come up with ColorSilk technology that is formulated to penetrate each hair strand with its ammonia-free compound. The new 3D Color Gel Technology contains a combination of dyes, conditioners, and polymers that delivers multidimensional color to your hair. This formula is also enriched with a UV defense complex that keeps your hair color from fading. 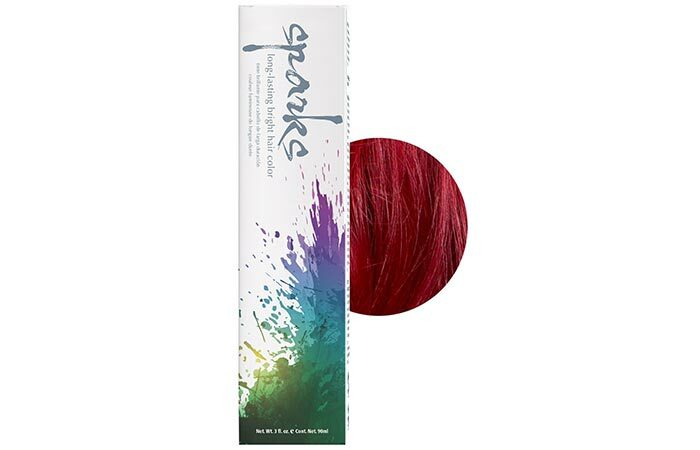 All in all, this Vibrant Red shade gives your hair a rich, warm look. This rich and dazzling shade has a warm wine undertone to it. 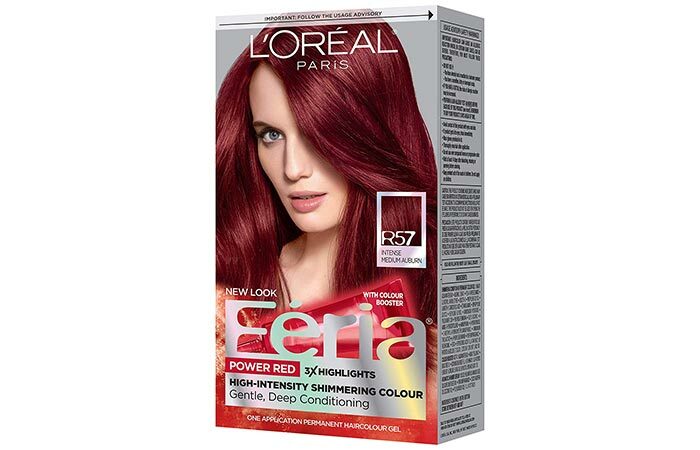 It delivers an intense multidimensional red color to your locks. For best results, apply this shade on pre-lightened hair. This helps in maintaining maximum vibrancy and durability of the color. Sparks is a permanent hair dye that claims to condition your hair, leaving you with soft, silky, and healthy-looking hair. With its simple and creamy formula, you can mix various colors to create a limitless palette of shades. 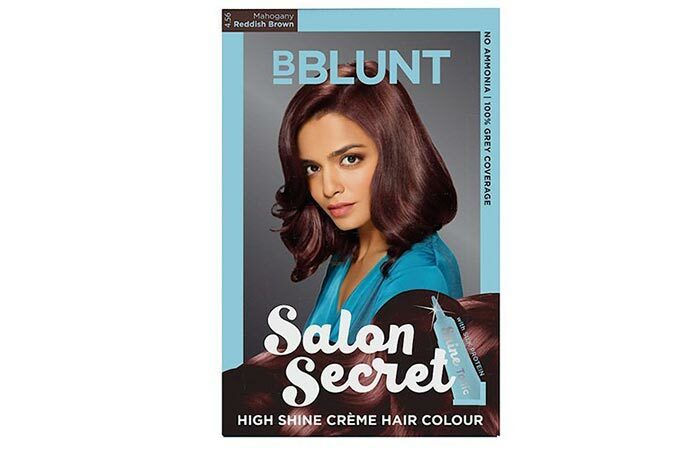 BBlunt’s Salon Secret High Shine Creme Hair Color is a 3-part hair color. It comes with a developer and a shine tonic. Upon mixing these beauties, you will get a non-drippy, smooth and fragrant mixture. The shine tonic is enriched with silk proteins that add vibrant shine to dull and flat hair. Perfect for Indian women, this hair color is a combination of elegance and edginess wrapped together seamlessly. With no fuss and drama, you can achieve this hair color within 30 minutes. It is ammonia-free and gives 100% gray coverage. 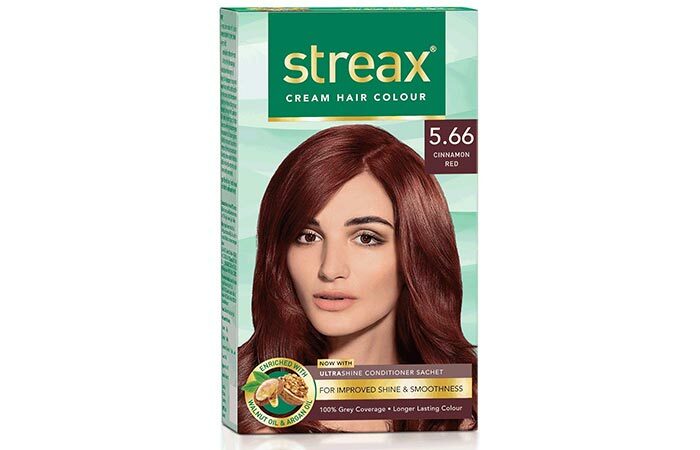 Streax Cream Hair Color is one of the leading formulas produced by this brand. It is enriched with walnut oil that nourishes and conditions your hair while coloring it. Walnut oil reinforces the structure of the hair shaft and hydrates your hair from within. This natural looking hair color gives a luminous finish to your hair. This cinnamon red color looks especially magical on pale skin tones. The hint of golden brown in it can make you look chic and voguish. This hair color also adds volume to your hair and prevents roughness and breakage. Say goodbye to dull and boring hair and embrace this bright red color. As the name suggests, this red shade looks bright, powerful, and devilish. 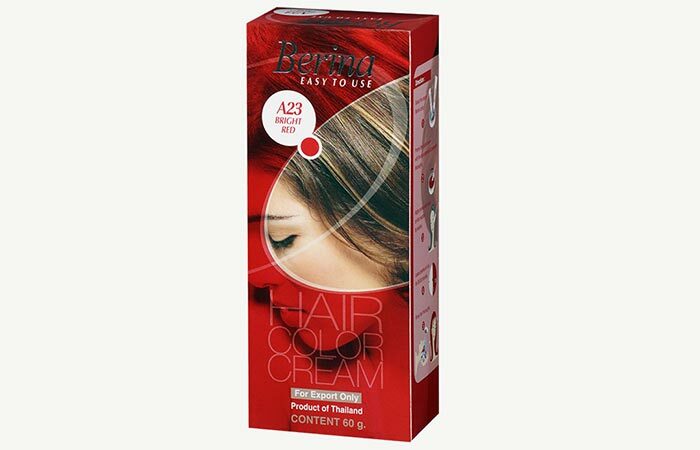 Berina Hair Color protects your hair by nourishing it from the root to the tip. It prevents breakage and keeps your hair soft and silky. Its long-lasting radiance lasts for weeks after coloring. You can get your desired hair color within 20-30 minutes. Berina provides a one-stop hair color care solution to its customers. A little twist here! 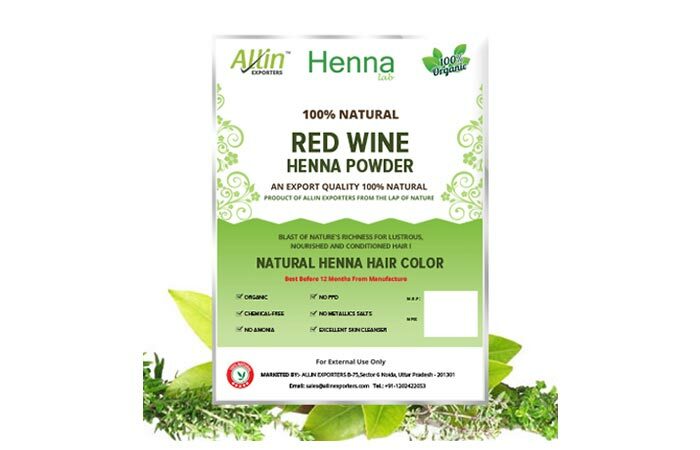 This is a natural henna powder formulated with pure henna leaves and a number of other natural herbs. After extensive research and tests, Allin exporters have come up with an ultra-modern technology to give your hair a natural and gorgeous color while nourishing each strand. This rich and luscious color suits all skin tones. Besides coloring, this product claims to create a protective layer around each hair strand and leaves you with shiny, silky, and healthy-looking hair. Red hair color is not for the faint-hearted. Anyone who sports it looks totally badass. What is your favorite shade of red? Have you tried any of these products? Let us know in the comment section below. "Life is too short to have boring hair." Are you bored with your hair? Are you inspired by the current hair color trends? Then, what are you waiting for? Here's one brand that promises to grab your attention and trust with its high-quality hair color products – Schwarzkopf.